Revisited: Coming out of the shadows . . .
Coming out of the shadows . . .
During the 18 months that I have been blogging on WordPress I have largely avoided postings of a political bent, whether a bend to the right or a bend to the left. I have not been entirely successful, but I feel that I’ve kept my preferences fairly in control. This posting will, in one fell swoop, cancel every effort I have made to remain neutral. With this posting I am coming out of the shadows and into the bright light of day. I am going to share my feelings about the influx of foreigners across our southern border, and contribute a suggestion that will bring that influx to a halt. By some estimates, an average of 10,000 illegal aliens—I refuse to call them immigrants—successfully penetrate our southern border each day—10,000 come in and stay in—they do not return home, and are added to the rolls for the greatest entitlements given by any government on earth. These penetrations include drug smugglers and people smugglers as well as ordinary folks seeking a better life for themselves and their families. Do the math. That’s 3,650,000 per year, and in the coming 10 years that total will be 36,500,000 added to the estimated 20,000,000 already in the United States for a total of more than 56,000,000. I realize these are estimates, but they are in the ball park—perhaps fewer or perhaps more. A frightening picture—how can our economy withstand such an onslaught? It can’t—this so-called illegal immigration will bankrupt the nation, an absolute given when combined with the current administration’s stimulus packages, entitlement programs and related actions. It can be stopped. Read on. The solution is to build a wall, but not necessarily a fence or an opaque wall such as was built by East Berliners. Not that such a wall is ineffective—it was highly effective. It stood for some 28 years and in all those years a total of only 5,075 people successfully crossed to the West, an average of 181 people per year—181 successful illegal immigrants, so to speak. Among the unsuccessful attempts were 200 people that died in their efforts to immigrate illegally from East to West. Mexico as a sovereign nation is lost. That nation is lost to the drug cartels and nothing short of intervention by the United States military could return Mexico to the people, its rightful owners. That, of course, will never happen. Eventually there will be a cartel candidate for the Mexican presidency and the Mexican citizens will handily elect that candidate, if for no reason other than fear of the consequences if that candidate is repudiated. Mexico is out of control. Its army and its state and local police are powerless to stop the cartels, no matter how many millions of dollars the US donates to their efforts. People are dying in the streets on both sides of the border, bullets are flying across the border, people have died on both sides of the border and many more will die in the future. That situation will only escalate unless we take action to prevent it now, or at least slow its momentum. We don’t need a wall. Illegal aliens and drug smugglers will go over, around, under or through any wall we build, regardless of its height and regardless of its composition. As a law enforcement officer with the US Customs Service over a period of 26 years I have been to every official border crossing between Brownsville, Texas and San Ysidro, California and to many points in between those border crossings, and I know that a wall will not stop the infiltration of illegals, whether immigrants or drug smugglers. Our border with Mexico is 2000 miles in length. That’s 5 280 feet per mile. With three feet to the yard, one mile has 1,760 yards. A hopelessly obsolete 30-30 caliber rifle, the efficiency and effectiveness of which is eclipsed by modern military rifles, will kill a deer at a range of 200 yards. If we divide 1,760 yards per mile by 400 yards, we arrive at a figure of 400. If in that mile we wished to kill every deer that crossed an invisible line we would need only 44 sharpshooters, spaced 400 yards apart and armed with a rusty old 30-30 caliber hunting rifle—pretty soon the deer would get the message and avoid crossing that line between hunters. Obviously if we wanted to kill every deer along a 2000-mile line that would require a force of some 88,000 hunters. However, if we armed hunters with .50 BMG rifles, the weapons used by military sniper units, weapons with a range of more than a half-mile, one shooter could cover one mile, a half mile in each direction, and we would then need only 2,000 hunters, one for each mile of our 2,000-mile border and an additional 4,000 officers in order to cover three 8-hour shifts per day—far fewer than, just for example, the number of border patrol officers presently on the southern border. We would also need extra officers to cover for days off, sick days, days on annual leave and training requirements, but the total would still be far fewer than the current staff. Got it? Six thousand sharpshooters from a vantage point created by towers—heated and air conditioned with porta-potties, of course, and its occupants armed with .50 BMG rifles and furnished with infra-red night-vision goggles, binoculars, radios, MREs for sustenance, plenty of water and lots of .50 BMG ammunition, and every deer that attempted to cross that invisible line between sharpshooters would not cross it, but would instead remain on that line. It’s rational to believe that all the other deer would soon wise up to the danger and not come near one of the towers. Mind you, I have nothing against deer, but the situation on our border with Mexico reminds me of the joke about the papa alligator eating all but one or two of the million eggs or so laid by the mama alligator. The punch line of that joke is that if it were not for the papa alligator we would be up to our posteriors in alligators, just as we will eventually up to that level with those that we erroneously refer to as undocumented immigrants, of which they are neither—they are illegal aliens, and we need to deal with them now, sooner rather than later. A two-week boat ride to Japan . . . In 1950 I traveled from San Francisco to Japan in 14 days, and back to San Francisco in another 14 days, with a considerable amount of time spent in Japan and South Korea between the trip to the Orient and the return to the United States, somewhere in the neighborhood of 22 months. Fifteen of those months were spent in bad neighborhoods—they were spent at Taegu in the south and Kimpo in the north, two of our US airfields in South Korea during the Korean War. I refuse to call it a conflict. It was a war, one in which more than 40,000 members of our armed forces died during four years of fighting—that qualifies it to be called a war, not a conflict. I traveled by bus from my mother’s home in Midland, Texas to Alpine, Texas, then by train to Los Angeles and up the Pacific coast to San Francisco. The month was April, and the trip up to San Francisco—a distance of almost 400 miles—with the blue Pacific Ocean on the left and the green mountain slopes on the right was memorable. In San Francisco I boarded a ferry and was taken to Camp Stoneman. I was quartered for a week or so before boarding another ferry to the Port of San Francisco where I boarded an army troop ship bound for Japan. Camp Stoneman, located in the city of Pittsburgh some forty miles from San Francisco, was a staging facility for military personnel traveling to foreign destinations to the east from the Port of San Francisco. Arrivals from oversea assignments and those departing for such assignments traveled by ferry to and from the Port and Camp Stoneman. Opened in 1942, the camp was shut down in 1954. 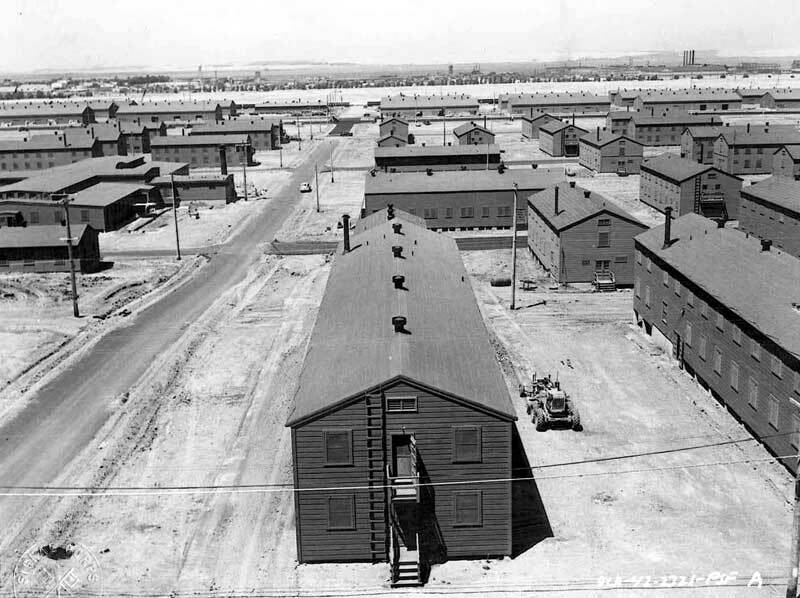 Click here for images of Camp Stoneman and its brief history. We departed for Japan on the USS Daniel L. Sultan, a U.S. Army vessel named for an army general, a ship that on this voyage would be loaded with 5,000 troops, 500 dependents and an indefinite number of cats and dogs, pets of the dependent members. When we pulled away from San Francisco, we headed north instead of west to pick up the dependents and their pets in Seattle, Washington. My brother Larry, an army Warrant Officer, was stationed at the Yakima Training Facility and I obtained permission to debark in Seattle—yes, debarking, that’s what they called it—in order to make a phone call to him. No, I did not have a cell phone—they had not yet been invented. Our conversation was brief, limited to expressions of how are you, how have you been, how is everyone else, where are you going, and good luck. On my return to the ship I ran afoul of the Officer of the Day, the worthy that stands on deck by the gangplank to greet boarders, to inquire as to their reason for boarding and to ascertain whether contraband is involved in their boarding. I had no problem answering the questions, but I committed a serious breach of military protocol. As any sailor knows, when one boards or debarks a military vessel, courtesy must be given by saluting the United States flag flown by the vessel. I had been briefed on that courtesy and I saluted accordingly, but I was chastised—chewed out—by the Officer of the Day. It seems that I saluted the prow of the vessel instead of the stern. I had been below decks ever since boarding the ship and had no idea which end was which, so I took a guess—I guessed wrong. Other than that, the two-week voyage was uneventful. I was seasick for the first two days and spent a lot of time hanging over the rail, and I learned to gauge the wind—one had to watch one’s output closely because one’s output had a bad habit of almost reaching the waves and then riding the wind all the way back up, often to its origin. I learned early to heave and then quickly step back from the railing. Some others weren’t that lucky. There’s an old joke that goes like this: The admiral asks a young sailor if he has a weak stomach, and the sailor says, No, sir, I am throwing it just as far as the others are. Every GI on the ship had a daily detail. Some worked in the galley, some in the heads, some did laundry and various make-work tasks, but I was one of the very privileged—I was assigned to the poop deck detail. No, not that poop deck, not that flat-roofed cabin that is erected at the stern of old-time ships for storage and to serve as an observation point. The word poop is derived from a French word poupe, meaning stern, the back part of the ship. No, my detail involved poop, the real McCoy. People with pets were required to exercise them every day on the rearmost part of the top deck, and the poop naturally followed. Every morning the call came over the intercom—first a series of shrill whistles, then came the words, Now hear this, now hear this—sweepers, man your brooms, clean sweep down fore and aft. I never knew what was swept down at the fore, but I learned over two weeks about sweep down aft. It wasn’t that bad, though. There was always a strong breeze, if for no other reason than the forward motion of the ship. We used high-pressure hoses to wash down the deck, and we used the brooms to loosen poop reluctant to go into the Pacific Ocean. I was quartered on Deck 4C, four levels below the top deck and three compartments aft of the head, or latrine. My bunk was second from the floor in a tier of four canvas bunks stacked from the floor to the ceiling. I was lucky because the fellow in the bunk above me was slightly built. The unlucky ones were those with a heavyweight sleeping in the bunk above them. In some cases, it was difficult for them to turn over without bumping into the weight hanging above. Bummer! Speaking of the head—it’s at the extreme front end of the ship, but it would have been far better situated for use had it been located amidships. The bow of a vessel rises and falls with every wave, and one that is urinating must be ready to stop and restart the stream as the bow rises and falls. If not, one will be hitting one’s shoes as the bow rises, and splattering the wall as the bow falls. If you have traveled on a ship you’ll understand what I mean, and if you have not, just ask any seasoned sailor how the system works. In the event of heavy seas, one would be advised to perform the act in a seated position—not very manly, but much safer and much easier on one’s shoes—and the wall. We arrived at the Port of Yokohama, Japan two weeks later and docked in a harbor festooned with jellyfish. Just form a vision of Monet’s ponds covered with lily pads, then multiple it by thousands, perhaps millions, and you’ll have a vision of the Yokohama harbor. A short time later—oops, let me rephrase that. The words short time have a very different meaning in military lingo, so I’ll say that a bit later a dozen or so of us were on a GI bus headed for Yokota Air Base, near Tokyo in Northern Japan. The bus ride, Yokota Air Base, Fussa and Tachikawa merit a separate posting—stay tuned! The view from the southern border . . . 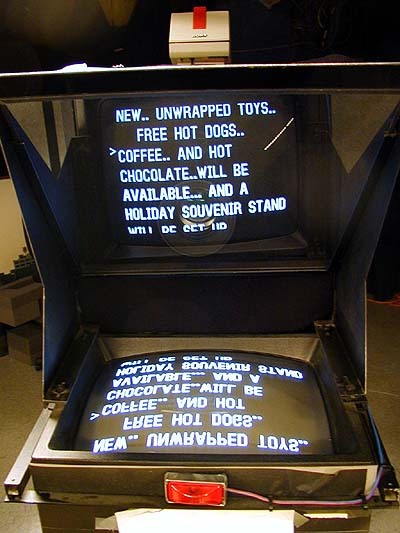 I wrote this article during a three-year assignment at U.S. Customs Headquarters in Washington, DC. 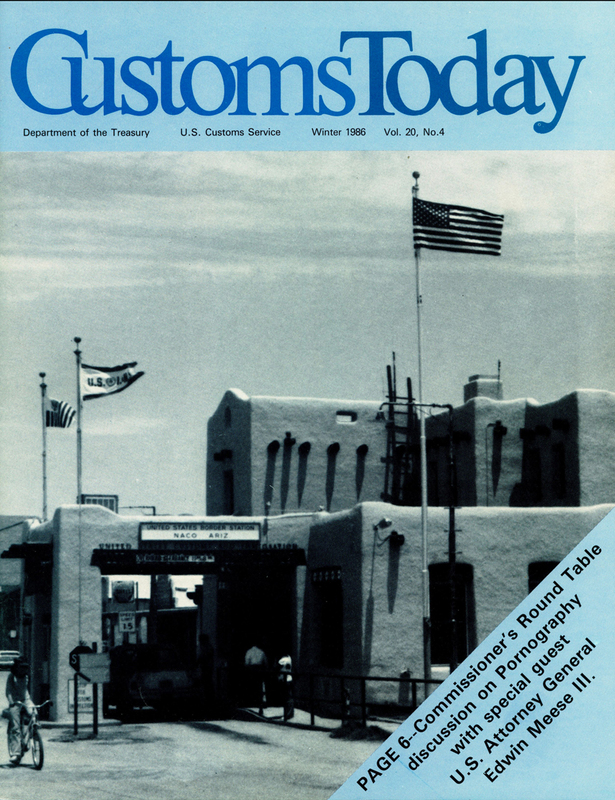 It was published in the 1986 winter issue of Customs Today, the official magazine of the U.S. Customs Service. The Customs Service has changed dramatically since that time. The number of ports on the southern border may have changed, some added and some deleted, and staffing has been increased and titles have changed, but the mission of Customs inspectors has not changed—I made no effort to reflect the changes in the article for this posting. It is reproduced here exactly as it appeared in the 1986 winter issue of Customs Today. Click here for a similar article published in the 1984 fall issue of Customs Today. Everything you are about to read is true. Any resemblance to actual persons, situations and locations is purely intentional and nothing has been changed to protect the innocent. On the southern border there are very few innocents. Most of the traveling public spends its time trying to find ways to outwit customs inspectors, and most customs inspectors lost their innocence when they accepted their assignment on the southern border. This article is intended to show southern land border inspectors as they are—not just a group of people in a certain geographical location or a segment of a larger group with similar functions, but as individuals subject to the frailties, vagaries, and sublime achievements of human nature. It is meant to inform, to educate, to entertain and perhaps to amuse—to stimulate and provoke thought and action, and to show life and work on the southern border from the heart and through the eyes of the inspectors themselves. Most inspectors are satisfied in their chosen profession, including its location. Many were born, reared and educated in or near the area in which they now live and work, and many enjoy social, economic, cultural and familial ties with people on both sides of the border. Probably few of them would change even if given their choice of assignments at an airport or seaport, or at another of the 25 ports and stations along the southern border. Those 25 crossing points between the United States and Mexico cover some 2,000 miles, a thin blue line of customs inspectors stretching from Brownsville at the tip of Texas on the Gulf of Mexico to San Ysidro in southern California on the Pacific Ocean. Tour those ports, and travel from the old-world balustrades of Brownsville to the gleaming spires of San Diego—from the dry sub-tropic air and lush vegetation of the Rio Grande Valley to the high thin air of El Paso, through the searing heat of southwestern deserts where the giant saguaro cactus sometimes attains heights of fifty feet in its lifespan of 200 years, and across the fabled Imperial Valley of California to San Ysidro and the cooling breezes of the Pacific Ocean. From Brownsville to Progreso and on to Hidalgo, follow U.S. Highway 8, known locally as Old Military Highway, the same route patrolled by General Zachary Taylor and his troops during the war with Mexico. Under the terms of the Treaty of Guadalupe Hidalgo in 1848, the border between Texas and Mexico was moved southward to the Rio Grande River, known to the Mexican people as Rio Bravo, or Brave River. The treaty also made California, Arizona and New Mexico part of the United States. The borders with Arizona and New Mexico were fixed by treaty at the Gila River, and the Gadsden Purchase of 1853 extended them to their present limits. At Los Ebanos watch the operation of the world’s only hand-operated international ferry—no traffic backups at Los Ebanos because the ferry will only accommodate two cars on each trip. The modern aluminum vessel now plying the waters of the Rio Grande replaced a series of wooden vessels which in their turn were replacements for the original operation, a lone boatman moving passengers and cargo across the river in a vessel made by welding two automobile hoods together. Continue to Rio Grande City and to Roma, an area rich in history and folklore. A new concrete structure spans the Rio Grande River at Roma, just upstream from the old suspension bridge which, although condemned, stands proudly as a monument to the skills of earlier engineers and bridge builders. Some of Roma’s adobe walls still bear the scars of bullets fired by revolutionaries, renegades and Rangers, and just a stone’s throw from the Customhouse is the church plaza where Marlon Brando, as the legendary bandit Emiliano in the movie Vive Zapata, fell and died under a withering hail of rifle fire from the surrounding balconies and rooftops. Continue the tour through District Headquarters in Laredo and on to Eagle Pass and Del Rio. En route to Del Rio spend a few moments of silence near the spot where Customs Inspector Richard Latham was murdered after being kidnapped from his post in Del Rio in February 1984, the fifth-fourth Customs officer to die in the line of duty since 1900. There can be no fault attached to the deaths of those fine officers. Their contributions to the Customs Service extended to life itself, and those sacrifices will be acknowledged when the Congress of the United States recognizes customs inspectors as true law enforcement officers, entitled to hazardous duty recognition and early retirement. Between Del Rio and Fabens lie miles and miles of nothing but miles and miles, except for the solitary port of Presidio. En route to Presidio, visit the Lily Langtry Saloon in Langtry, Texas where Judge Roy Bean dispensed his personal and peculiar brand of frontier justice as The Only Law West of the Pecos. Langtry takes its name from the saloon that was named in honor of the celebrated actress, a lady loved by the judge from afar for many years. Miss Langtry eventually came to Texas to meet her admirer, but the judge could wait no longer—he died shortly before her visit. From El Paso and District Headquarters to the California state line, ports and stations are suspended from the main highways by lengthy, lonely ribbons of state highways, and each port represents a major detour from the main route. Each is worthy of the detour if time permits, because each is unique and each is an integral part of the U.S. Customs Service. On to Columbus, New Mexico and Douglas, Naco and Nogales, District Headquarters for Customs operations in Arizona—to Sasabe, to Lukeville and the federal inspection facility dewigned by the architectural firm of Frank Lloyd Wright, to the twin ports of San Luis and Andrade—the port directors are twin brothers—and on to Calexico in the heart of California’s Imperial Valley. On a recent December morning the writer stepped out on a motel balcony in El Centro for a breath of clear cool desert air, and memories of a childhood on the farm came rushing in, triggered by a strong breeze coming from the direction of El Centro’s numerous cattle feed lots. Continue to the port of Tecate, just across the border from the Mexican city of Tecat from which Mexico’s famous beer takes it name. End the tour of the Mexican border at San Ysidro, the world’s largest land border crossing point, with24 lanes of incoming vehicle traffic. No feature on Customs could possibly be complete without statistics, and this one is no exception. However, the statistics will be limited to certain completely unbiased minimums. Land border inspectors comprise about one-third of the total inspection force of 4,500, and that group of 1,500 is fairly evenly divided between the northern and southern borders. Since only thirty million of the 300 million people that enter the United States each year come by air and sea, the remaining 270 million enter at land border ports. For those of a statistical bent, these figures mean that 33 percent of the work force processes 90 percent of the passenger and pedestrian workload. Inspectors on the southern border live and work in proximity to, and are in daily contact with, the people of a foreign nation, a country of some 70 million struggling through a deepening economic crisis, a people those currency is today worth only one-twentieth of its value 12 years ago. The inspectors are very much aware of conditions across the border, and although they carry out their responsibilities with diligence and dedication they are sometimes reluctant witnesses to the laws that they enforce. They understand the conditions that drive people north in search of work and a better life, fleeing an economy with an unemployment rate of forty percent—four of every ten workers—and an unemployment rate even higher in border cities. They know the people that subject their infant children to the dangers and rigors of an illegal border crossing are attempting to escape an infant mortality rate that approaches fifty percent among children up to the age of five years. With tragic frequency the inspectors learn from a motorist or pedestrian of a floater in the river—the Rio Grande has claimed another life. Many that attempt the illegal crossing come from the arid interior of Mexico. At home they had no lakes, no river, no YMCA, no municipal pools or backyard pools, and no country swimming holes—they are victims of the deceptively tranquil waters of the Rio Grande because they cannot swim—they simply never had the opportunity to learn. Sometimes the inspectors learn that others have been found dead or dying or wandering aimlessly without food or water in the deserts of West Texas or New Mexico or Arizona or California, left there by alien smugglers that first exacted their profits for services rendered. To work on the southern border is to bear witness to poverty, misery, despair and tragedy, and it is impossible to remain untouched or to become inured. Inspectors may mask their feelings with a veneer of cynicism, a facade of callousness or indifference but they understand—they feel, and they care. While the southern border involves a certain amount of danger to the safety and wellbeing of the inspectors, they realize that theirs is not the only inspector positions that are fraught with peril. They have all heard the horror stories associated with airport duty—of the many close encounters with stellar figures of the entertainment industry, of heaving bosoms and violet eyes, and of the sports world, and with diplomats, senators, representatives and other high-ranking officials, all exemplifying the rigors of airport duty. They know that climate control systems at the airports sometimes malfunction, and they are aware of the constant struggle by management to keep the lid on the annual overtime pay cap. Their awareness of overtime problems may be faintly tinged with envy because land border inspectors make their overtime money the old-fashioned way—they earn it. Virtually all overtime is non-reimbursable and each call out requires the full two hours on duty—no rollbacks, no lag time and no standby time. The four overtime periods earned on Sundays and holidays demand the full eight hours, and the eight-hour tour of duty is spent alternating between primary and secondary stations at vehicle and pedestrian checkpoints. The overtime pay cap presents very few problems for management on the southern border, because the cap is rarely within the inspectors’ reach. Airport hardships are freely acknowledged by southern land border inspectors, just as they freely acknowledge the every-present dangers faced by airport inspectors from smugglers, fugitives from justice and from all the criminal elements of our society and other societies of the word. They acknowledge such hardships because they face the same problems—except for the Hollywood stars, high-ranking officials, climate control and the overtime pay cap, and an almost endless array of other problems including working exposed to vicious extremes of hear and cold, precipitation in all its forms, and unremitting atmospheric pollution caused by wind and dust and dirt, and by gases and solid particles spewing from the exhausts of millions of vehicles. Our neighbor to the south has no environmental protection agency to impose and enforce pollution controls, and there are no government restrictions on lead content and other petroleum additives. We can only speculate on the long term effects of constant exposure to concentrated amounts of nitrogen oxides, lead, sulphur, carbon monoxide, carbon dioxide and other toxic substances. It has been estimated that an adult inhales 30 pound of air daily. With more than one-third of their time on duty spent in highly polluted areas, land border inspectors ingest at least ten pounds of contaminated air daily. They must ultimately pay a high price for such exposure in upper respiratory infections and diseases, in kidney and liver and heart problems, in aggravated asthmatic and bronchial conditions, and in impairment of vision and psychomotor performance. In short, they must eventually pay a high price in virtually every physiological system and body function. Inspectors on the southern land border face many dangers and enemies not covered by their position descriptions. In addition to smugglers, fugitives from justice and a representative cross-section of every criminal element known to law enforcement, they are faced with many situations that are not covered in the inspector’s manual and must be dealt with as they occur. Consider the risk inherent in convincing a child that the candied apple on a stick purchased in Mexico is a potential threat to America’s citrus industry, and that its importation is restricted by the United States Department of Agriculture. The child neither knows nor cares about agricultural restrictions and prohibitions. If time and traffic permit, the inspector will sometimes supervise the immediate and on-site destruction of the prohibited item by the importer through internal consumption. Even more risk is involved when the inspector is forced to tell a truck driver that the beautiful sea-turtle boots he just paid $150 for must be confiscated and held for the U.S. Department of Fish and Wildlife—in many instances the trucker left his old boots in Mexico and therefore is shoeless when released by the inspector. There is risk involved in telling a lady that her five gallons of fresh mango slices, carefully separated from the seeds because she believed only the seeds are prohibited, will be held for the scalpel, microscope and food-grinders of the Agriculture inspectors. The traveler is only slightly mollified by the inspector’s explanation that the flesh of mangoes is prohibited because the pulp, not the seed, is the host for the destructive pest USDA seeks to control. Many families supplement their limited or fixed incomes by shopping for food staples on the other side of the border, and when their fresh eggs, pork, potatoes and fruits are confiscated their reaction is far too often that of hoping that the inspectors enjoy the meal. With the first hint of snow in the north the annual migration of snowbirds begins. These winter visitors arrive at border cities singly and in pairs, and sometimes in caravans a hundred strong. They will spend the winter foraging for food and drink, and as any land border inspector knows, their diet consists mainly of cookies, liquor, vanilla and garlic, all purchased in the markets of Mexican border cities. Of various phenomenae observed among the snowbirds these are among the most fascinating—not one has ever been to Mexico before, and a highly disproportionate number of them are sibling twins. Inspector: Didn’t you bring a bottle of liquor from Mexico yesterday? Snowbird: Officer, you may not believe this but I have a twin, and I’ll bet he was here yesterday. In some areas the winter visitors stretch local tourist facilities to the breaking point, along with the tolerance and patience of most Customs inspectors. In the Rio Grande Valley of South Texas, they expand the normal population of 400,000 to more than three million. Fortunately the breaking point is never reached, of facilities or of patience and tolerance, and with the advent of spring the homeward trek begins. The annual ebb and flow of winter visitors is repeated in varying degrees at every crossing point on the Mexican border. To southern border inspectors these are the signs of changing seasons, as sure an indication as is the first snowfall or the first robin to their counterparts on the northern border. Strong kidneys and a weak bladder were the downfall of an illegal alien one evening at Brownsville, Texas. An alert inspector noticed what he suspected to be a gasoline leak in a sedan whose occupants were in the Immigration office obtaining permits. He conducted a smell test to the liquid and determined that it was not gasoline, and a closer inspection revealed a smuggled alien concealed in a compartment behind the rear seat. The long drive from the interior of Mexico and the delay in the office was the alien’s downfall. He was promptly documented and returned to Mexico, and the driver of the vehicle was arrested for smuggling. A check of an automobile trunk at the port of Progreso prompted by sounds of feminine giggling produced three smuggled alien females, all young and all ladies of the evening, bound for cantinas and cash transactions on the U. S. side of the border. Although Mexico and particularly the stare of Tamaulipas has made some effort to clean up border red light districts, the so-called Boy’s Town found in every border city in Mexico, but they still exist. They are variously called la zona roja—the red zone—and la zona de tolerencia—the zone of tolerance. The red light districts contribute to the inspector’s frustration by eliciting this answer to the question of whether the person acquired anything in Mexico—Oh, God, I hope not! If every inspector had a dollar for every time he has heard that answer on Saturday night and Sunday morning the Customs Service would not need early retirement for inspectors—they could retire early just on that income. They could retire even earlier if compensated for the number of times the same inquiry is answered by Just a belly full of good food—you can’t tax that, ha, ha, ha! Such answers highlight one of the worst aspects of the job. After a short time the inspectors have heard every possible answer or combination of answers, and find little humor in them, particularly near the end of a long tour of duty. Their inability to respond with a laugh or a smile is usually interpreted as surliness, or as indifference or dissatisfaction with their job. And how about this one? Oh, nothing much, just a little pot. Further questioning and inspection produces a little pot, molded and fired in the clay kilns of Mexico, and evidently purchased for the express purpose of playing a trick on the Customs inspector. And this one—Oh, just some liquor, and a single bottle is held up for inspection. Search reveals one or more additional bottles, and when the declarant is questioned the response is, Well, I told you that I had some liquor—I just didn’t say how much liquor. The question of citizenship frequently generates this response—Of course I’m an American citizen. Do I look like a frigging Mexican to you? Or this one—Yeah, I’m an American citizen—are you? The latter response is usually directed to Hispanic Customs inspectors. The varieties of questions are not endless—they are finite, and the inspectors quickly learn the entire repertoire. The size, numbers and feeding habits of southern mosquitoes, especially those of Texas, are legendary. They are undoubtedly known to people all over the world, and this article will not attempt to expand or dispel those legends—except perhaps to advance the theory that many, perhaps most, of the unauthorized discharges of weapons by southern border inspectors are directed against mosquitoes, and the action was the last resort of the inspector in defense of his life or that of another, as required by the firearms manual. When a mosquito is the target there are usually two distinct sounds, depending on the shooter’s accuracy. The first is made by the weapon’s discharge, and the second is made when the mosquito hits the ground. An ever-present enemy and perhaps one of the most dangerous is boredom, ranging from the frustration of starting an eight hour shift at San Ysidro facing an endless sea of vehicles and finishing the shift without ever seeing a break in the line, to the utter boredom of waiting for a vehicle to break the monotony of the night and help the inspector stay awake. No southern border inspector will ever admit to having fallen asleep on such a shift, but almost every one of them will confess they have spent some time with their eyes closed, checking their eyelids for cracks. One inspector, whose name appears beneath the title of this article, opened his eyes after such an operation in the wee small hours of the morning to find an auto parked beside him at the primary inspection point, its engine turned off and its occupants waiting politely and patiently for the inspector to finish the inspection of his eyelids and begin his inspection of their entry into the United States. They were early morning commuters, traveling to work in the vegetable fields and citrus groves of the Rio Grande alley. Other insidious and deadly enemies of land border inspectors are familiarity and complacency. They see the same people day after day, many of them several times during the course of a single shift, and this familiarity must inevitably color their judgment and their treatment of the traveler. Such people may attempt to break the law because their estimate of the chances of being caught are based on the superficial and cursory treatment accorded by some inspectors. Complacency has killed more law enforcement officers than any other habit or characteristic, and Customs inspectors are particularly vulnerable. They are not in the position of street cops that know they are in a danger zone and are far more likely to govern their actions on that basis. The Customs inspector must continually be aware that in the usual crowd of migrant workers, affluent businessmen, bona fide tourists and little old ladies in tennis shoes may be, and probably is, one of the FBI’s Ten Most Wanted fugitives. Everything you have just read is true, but the observations, thoughts and opinions interspersed in the narrative are personal—they belong to the writer. They are therefore highly subjective and do not necessarily reflect the opinions or feelings of any other person or group. No offense is intended through their expression and none should be taken. Certain observations may be viewed as criticisms by some, but they are constructive in nature and intent and should be regarded in that light. Hershel M. (Mike) Dyer is a Program Officer in the Office of Inspection Control, Office of Inspectional Liaison at Headquarters. He spent 12 years as an inspector and supervisory inspector on the Southwest Border. During the 18 months that I have been blogging on Word Press I have largely avoided postings of a political bent, whether a bend to the right or a bend to the left. I have not been entirely successful, but I feel that I’ve kept my preferences fairly in control. This posting will, in one fell swoop, cancel every effort I have made to remain neutral. With this posting I am coming out of the shadows and into the bright light of day. I am going to share my feelings about the influx of foreigners across our southern border, and contribute a suggestion that will bring that influx to a halt. Do the math. That’s 3, 650,000 per year, and in the coming 10 years that total will be 36,500,000 added to the estimated 20,000,000 already in the United States for a total of more than 56,000,000. I realize these are estimates, but they are in the ball park—perhaps fewer or perhaps more. Our border with Mexico is 2000 miles in length. That’s 5, 280 feet per mile. With three feet to the yard, one mile has 1,760 yards. A hopelessly obsolete 30-30 caliber rifle, the efficiency and effectiveness of which is eclipsed by modern military rifles, will kill a deer at a range of 200 yards. If we divide 1,760 yards per mile by 400 yards, we arrive at a figure of 400. If in that mile we wished to kill every deer that crossed an invisible line we would need only 44 sharpshooters, spaced 400 yards apart and armed with a rusty old 30-30 caliber hunting rifle—pretty soon the deer would get the message and avoid crossing that line between hunters. Obviously if we wanted to kill every deer along a 2000-mile line that would require a force of some 88, 000 hunters. However, if we armed hunters with .50 BMG rifles, the weapons used by military sniper units, weapons with a range of more than a half-mile, one shooter could cover one mile, a half mile in each direction, and we would then need only 2,000 hunters, one for each mile of our 2,000-mile border and an additional 4,000 officers in order to cover three 8-hour shifts per day—far fewer than, just for example, the number of border patrol officers presently on the southern border. We would also need extra officers to cover for days off, sick days, days on annual leave and training requirements, but the total would still be far fewer than the current staff. Underage enlistment and other stuff . . .
My initial enlistment in the United States Air Force required perjury on the part of three people. The recruiting sergeant, my mother and I all lied about my age. I lacked six months and 12 days before my seventeenth birthday, the mandatory minimum age for enlistment with parental or guardian permission. The recruiting sergeant used ink eradicator on a certified copy of my birth certificate to change my year of birth and my mother perjured herself by signing the required parental consent form, and I was off on a great adventure—all 16 years, 110 pounds and 66 and three-fourths inches of me. Speaking of height—I was unable to comply with the very first order given by an Air Force officer. Several of us, all new enlistees, were ushered into a room furnished with one desk, one chair and two flags—the U.S. flag and the official U.S. Air Force flag. The NCO that took us to the room told us the captain would be there in a few minutes to administer the oath of enlistment. A bit later the captain came in, said good morning, looked at his watch and said, Stand tall, men. I’ll be right back. I lacked one-fourth of an inch being five feet, seven inches tall, and I was dwarfed by the NBA wanna-bees with whom I was to share the oath of enlistment. Need I say more? I, (state your name), swear to sign away 4 years of my life to the UNITED STATES AIR FORCE because I know I couldn’t hack it in the Army, because the Marines frighten me, and because I am afraid of water over waist-deep. I swear to sit behind a desk. I also swear not to do any form of real exercise, but promise to defend our bike-riding test as a valid form of exercise. I promise to walk around calling everyone by their first name because I find it amusing to annoy the other services. I will have a better quality of life than those around me and will, at all times, be sure to make them aware of that fact. After completion of Basic Training I will be a lean, mean, donut-eating, Lazy-Boy sitting, civilian-wearing-blue-clothes, a Chair-borne Ranger. I will believe I am superior to all others and will make an effort to clean the knife before stabbing the next person in the back. I will annoy those around me, and will go home early every day. So Help Me God! Hey, I’m just kidding! That oath came from the internet—you can check it and other hilarious pseudo military service oaths out here. That site is well worth a visit—trust me, you’ll like it! The real oath of enlistment, the one that is administered by all services except the National Guard follows—this oath differs from the National Guard only because it includes the name of the state of enlistment. Click here for a history of the real oath of enlistment. The months and days between enlistment and the attainment of the required age of 17 were considered minority time, and had the law governing minority time in service not been changed, it would not have been counted in determining the time required for retirement from the military. The law was changed, I believe, in the 1950s through congressional action—my minority time was counted in my total service for retirement purposes. A funny thing happened to me on the way to retirement from the U.S. Air Force. About a month after I began basic training, our training NCO told one of the trainees to break formation following breakfast and report to the commanding officer. He then took a long look at me and said, You might as well go with him—you’re not seventeen either. The two of us were ushered into the commander’s office and told to be seated. In addition to the commander, a military chaplain was present. The chaplain told my fellow trainee that his mother had contacted him, saying that her son was underage and she missed him and wanted him back home with her. Following that information, the commander told the trainee that it was his choice—he could be released from his oath of enlistment and be separated from the Air Force immediately without prejudice, or if he chose, he could continue his training and his enlistment. When my fellow trainee elected to remain in service against his mother’s wishes, the commander told me that nobody believed that I was 17 years old, but that he would give me the same option. I could continue my training, or I could choose to be released from the military without prejudice. He didn’t bother to ask me if I was underage, and I didn’t admit that I was—he probably figured I would lie if he asked me. I guess the commander and I were well ahead of the curve on the don’t ask, don’t tell option—mind you, this pertained to age only. And the rest is history—I elected to remain in service. I managed to successfully complete basic training and I continued to reenlist over a period of 22 years plus before retiring. My retirement was based purely on years completed—no percentage for disability—no lower back pain, no loss of hearing, no bad feet, 20-20 eyesight, good teeth, etc. I mention the absence of disabilities because some retirees feign medical problems in an effort to retire with a disability percentage—yes, Virginia, it’s true, some do—it’s only a few perhaps, but still some do try to fake it. Any percentage of disability will reduce taxes on their retirement pay and give them a leg up for employment in federal service—a disability of just five percent qualifies one for employment preferences and a reduction in federal taxes—a slight reduction, perhaps, but still a reduction. 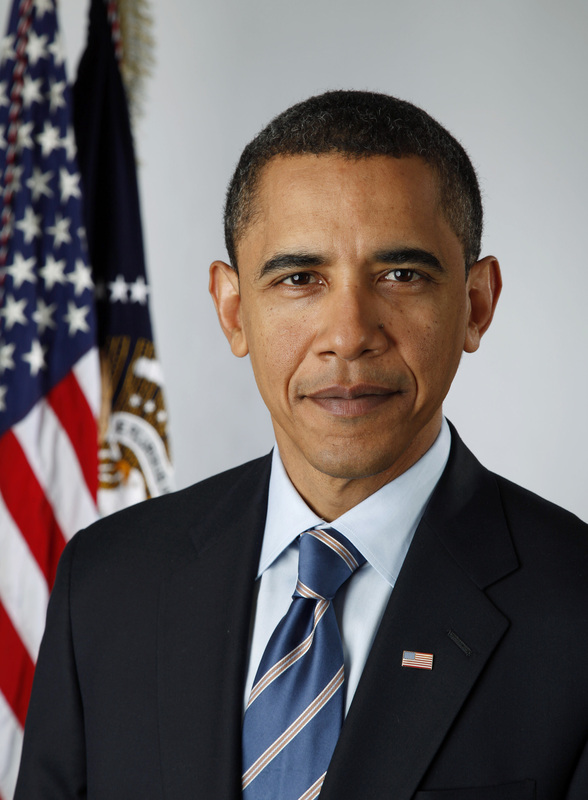 In many cases the full amount of retired pay is exempted from federal tax. A bit of advice for future retirees—only the claim of lower back pain has even a slight chance to fool the medics. If one holds one’s ground, a disability may be given, probably the minimum five percent. Don’t even consider trying to fool the machines used to determine loss of hearing—it can’t be done. I’m not speaking from personal experience—had I known the ins and outs of faking medical problems I may have made the attempt, but I learned all this only after I completed my retirement physical. The doctor told me that my case was unusual—I took that as a compliment. That’s it—that’s my story and I’m sticking to it! Pee Ess: I subsequently retired from a second career as a United States federal law enforcement officer after 26 years of spotless service, and still with no disability percentage, not even five percent—damn it! My brief stint as a cocktail waiter . . . I returned to the United States in February of 1952 following a twenty-two month tour of the Far East. I enjoyed the first nine months in Japan—the other 13 months were spent, with far less enjoyment, in South Korea at the height of the Korean conflict. At the conclusion of a two-week boat ride on a US Navy troop transport ship that finally docked in San Francisco (click here for a description of that landing and numerous other fascinating vignettes), I traveled to Midland, Texas to visit my mother and my stepfather now residing in that city—my mother was employed as a nurse and my stepfather hawked commercial advertisement items such as matchbooks, calendars and other items imprinted with the names of various businesses. He did a very small amount of that, and a large amount of poker playing at a local establishment—he viewed himself as a high-roller, but I doubt that any others viewed him in that light. Papa John, my stepfather, was a dues-paying member of the local chapter of the Fraternal Order of Eagles (F.O.E). He was a rather committed poker player, and the F.O.E. made it possible for him to indulge in such activities regularly—nightly, and often till well past the witching hour. According to my mother, he spent almost as much time there as he spent at home. I did not linger in Midland long enough to either doubt or refute that, but I have reason to believe her. I had just returned from a combat tour in Korea. My stepfather was inordinately proud of me for having contributed to our efforts in the war against communism and the invasion of South Korea by North Korean army regulars and elements of communist China’s enormous armies. He discussed my return with an F.O.E. personage, one that sported the title of Grand PooBah, or something on that order. They agreed, in my absence, mind you, that it would be beneficial to the organization and its members for me to bring them up to date on the progress of the Korean war. I reluctantly accepted the invitation to speak, and Papa John insisted that I appear on stage in uniform. I appeared in uniform on stage and addressed a large banquet hall filled with comfortably seated people. 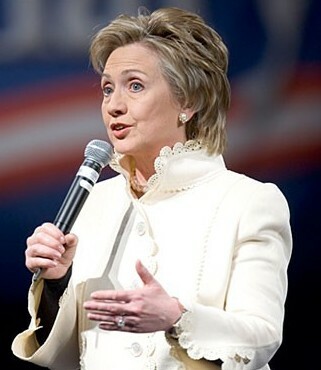 I struggled through an impromptu no-notes speech, a speech that I will not attempt to recreate here. Suffice it to say that I received a warm welcome and a warmer round of applause. Texans, and Midlanders especially, possess and display many different characteristics, not the least of which is patriotism—it’s embedded in their characters and they give voice to it proudly and openly. I probably would have received the same applause had I stood and recited Mary had a little lamb, its fleece was white as . . . etc., etc. On the same evening shortly after I gave the club members my version of the Korean War, Papa John retired to the back room to play poker. I went with him and stood around kibitzing—however, I did not attempt to give unwanted advice, something that kibitzers usually do—no, and not just no, but hell no—I knew better than to even contemplate it. As the game progressed, its seven players quickly drained their various bottles and glasses of various types of spirits, and the house called for another round of drinks for the players. Note: the house is the non-player that runs the game and takes a percentage of each pot for the organization—hey, they have to pay rent! When the house started to send for a waiter, Papa John volunteered me for the job. The house said sure, and I silently said—well, what I said matched what the house said, but only in the number of letters—its pronunciation was different. I will try to finish this quickly because to linger will just bring up more unhappy memories of that evening. I took the written list of drinks to the bar. The bartender obligingly filled the order, placed numerous containers on a very large tray and said There you go. The tray held more than seven containers, because some players had ordered such drinks as boiler-makers—that’s a shot of whiskey with a beer chaser—or is it a shot of beer with a whiskey chaser? I can never remember which. As I threaded my way between tables and booths en route to the back room, with the tray held firmly in both hands at waist level, I noticed that other waiters held their trays well above their heads, with just one hand supporting the tray at that height with its expensive cargo. Yep, you’re way ahead of me. That posed a challenge for me, one that my character could not resist—I splayed my right hand and placed it palm up beneath my tray and elevated it, just as the others were doing. I found it quite easy to do, and actually danced around and twitched my hips a bit while transiting the room full of diners and drinkers, and arrived at the poker table with out incident. However, at the exact moment I began to lower the tray, things went awry—something slipped and caused a complete dump of the trays’ load—I managed to hold on to the tray, but everything on it hit the floor with a combined sound of liquid sloshing and glass breaking. Bummer! I was not allowed to pay for the lost lubricants, nor was I allowed to fill a second order. I rendered my I’m sorries, my thank yous and my good nights shortly after the incident and managed to exit the building without running into anything or tripping over something. That’s it. That’s my version of The Night That a Teenage War Veteran Dropped the Drinks, a tale of tragedy comparable to The Rime of the Ancient Mariner, a notable work by Samuel Taylor Coleridge that also involved a tremendous amount of liquid. The main event of that night is a tale that is probably still being told to younger generations of Midlanders, especially those that may be groomed for employment as a waiter at the local Fraternal Order of Eagles. I can’t vouch for that, because I put Midland in my rear view mirror several days later and have never returned.